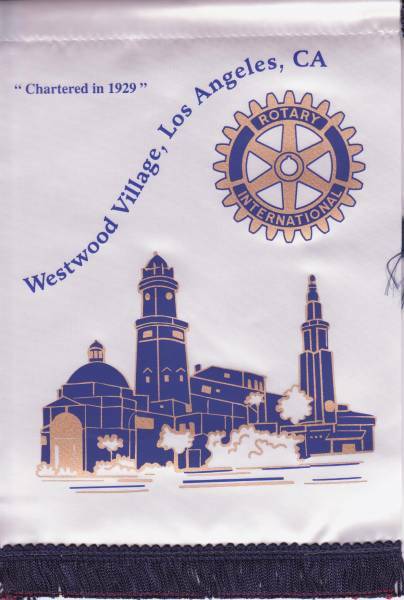 President Chris & Hazel Hedges paid a visit to the Rotary Club of Westwood Village, Los Angeles and were warmly welcomed by President Dwight Heikilla and his members, 58 present that day. RC Westwood Village meet at the Faculty Centre of University College of Los Angeles (UCLA) in the delightful leafy suburb of Beverly Hills. During an excellent lunch the members and guests were given an interesting talk about Rotary Youth Exchanges by the District Youth Opportunities Officer who also talked about RYLA.